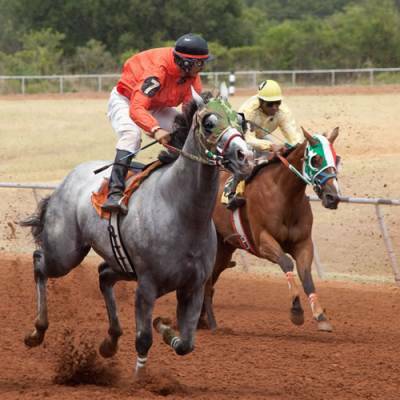 Come out during the Summer Season for weekends of exciting live horse racing at the Gillespie County Fairgrounds’ Class 3 track in Fredericksburg, TX. Pick your favorites for quarter horse and thoroughbred racing as well as special races, trials, and futurities. $7 for adults, $3 for children six to 15 years of age and free for children five and under. Reserved seats are $10 and box seats are $15. This entry was posted on Saturday, June 10th, 2017 at 10:35 am	and is filed under Events, News & Updates. You can follow any responses to this entry through the RSS 2.0 feed. Both comments and pings are currently closed.